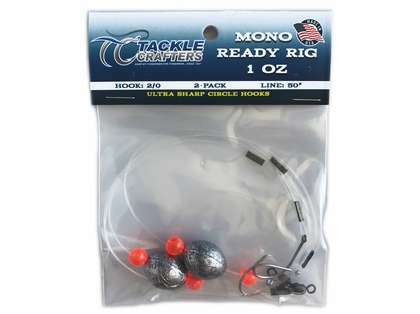 - Select Option -1/4 oz.1/2 oz.3/4 oz.1 oz. 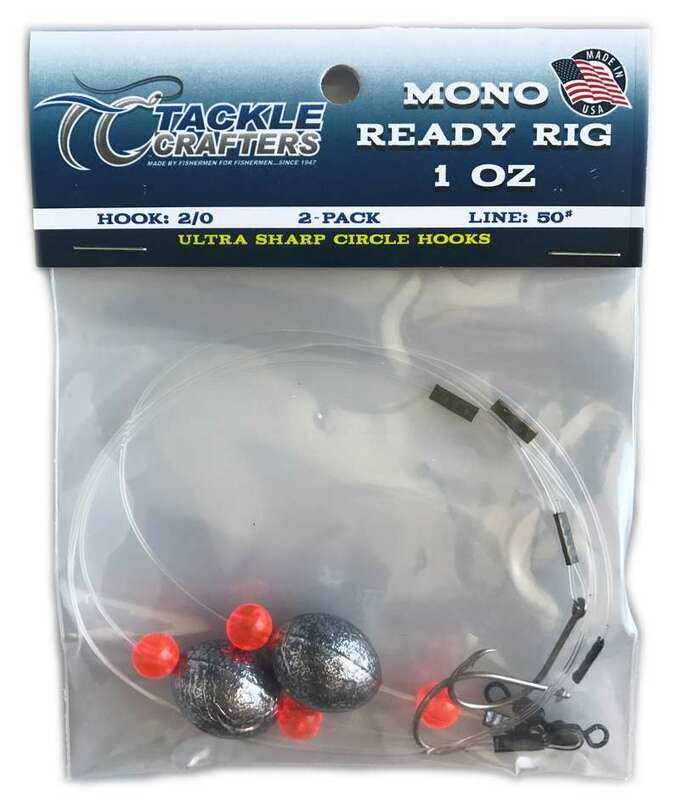 The Tackle Crafters Mono Ready Rig is made with 50 lb test line and is available in 1/4oz, 1/2oz, 3/4oz, and 1oz with an ultra sharp circle hook. 2 per pack. Made in the USA.